We’ve still got ten chickens, and they are still slowly mastering the natural art of laying eggs. It has been a common occurrence lately to have an “unshelled” egg dropped on the poop board beneath the roost. Eventually, the shell develops, and when that first success is finally achieved, it’s relatively easy to spot. 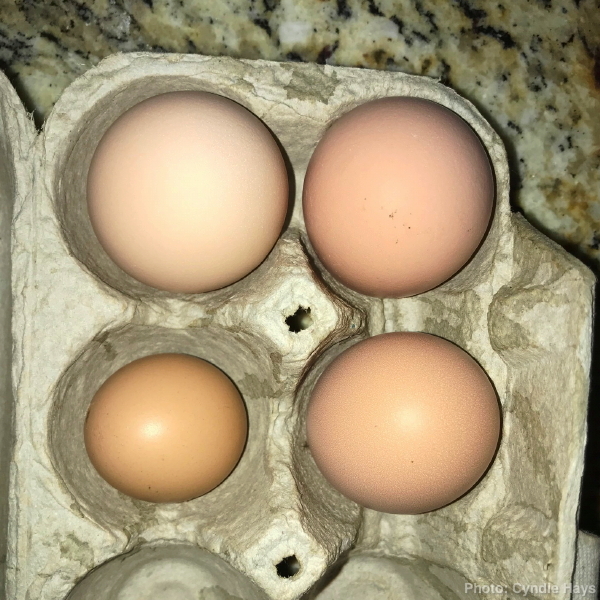 We are not always sure which hen laid which egg, but in the days following the appearance of a small egg, the subsequent daily average number we find notches up by one. The image above was taken by Cyndie yesterday. How many eggs will we find today? I’m voting for seven, even knowing that the average number of eggs our hens lay is six per week. Today could be the arbitrary day one of the already laying hens decides to take her day off.